From I-64 take exit 19A, 2nd light, turn left to Shiloh (Main) gate. Use far right lane. On Base From Mascoutah Gate: Right turn at stop sign onto South Drive (sign says "Hunters Rd.") You turn at the first intersection after entering the gate which turns left and becomes East Drive. Follow it through tunnel (14' clearance). Past tunnel after road curves left take first right (middle of the curve). Follow this over a small bridge to the FamCamp. From Shiloh Gate: Left turn at 1st traffic light onto Golf Course Rd. Follow this past the Golf Course and 128th Illinois Air Guard. Go through stop sign at Prior Drive, just past the chapel take a left over a small bridge to FamCamp. Sites 13-24 loop will be on your right. Just further on right will be sites 1-12. Active, National Guard, Reservists, Retired, 100% DAV, DoD civilians, US Govt civilian employees. None at the campground. Free Wi-Fi and computer terminals at base library, building 1940. For Sprint broadband card users, strong signal and EVDO. Good Verizon signal with LTE. Dump available at campground. 30 day stay limit. 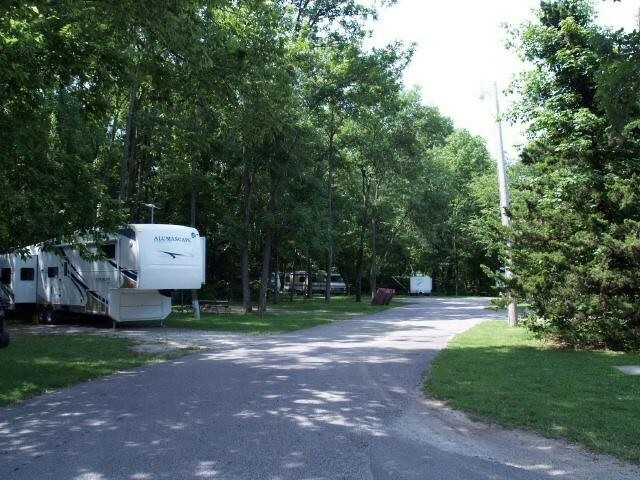 --- A very nice campground located near Scott Lake. All sites are back-in. Sites 1 through 9 and 12 are dirt sites while sites 13 through 24 are paved. There are no sites numbered 10 and 11. Sites 1 through 9 and site 12 are 40 foot or longer as are sites 13, 16, 18, 20, 21, 22, and 24. Sites 14, 15, 17, and 23 are 38 feet long. Site 19 is 32 feet long. Sites 19 and 20 have 50 amp service. Sites 16 and 18 are handicap parking and require handicap decals for use. All sites are electric and water only. A dump station is available near the bath house. Sites 13, 14, 15, 16, 18, 20, 22, and 24 are mostly open and satellite Internet and TV should be no problem. Site 12 possibly might get both. 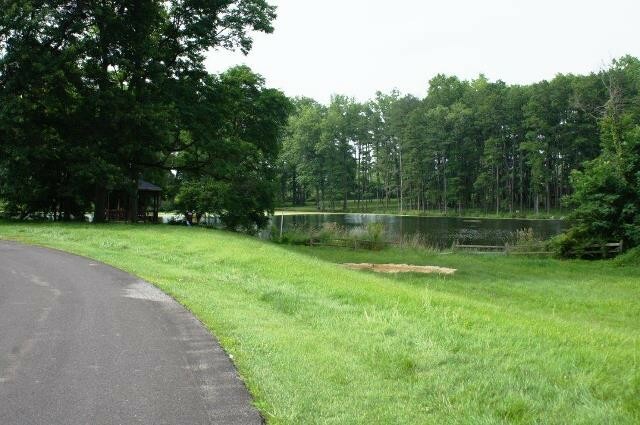 --- Outdoor Recreation Hours of Operation: Summer Hours 1 April to 31 October Monday thru Friday 8A.M. to 4:30P.M. Saturday 8A.M. to 12P.M. Closed Sunday and Holidays. Winter Hours 1 November to 31 March Monday thru Friday 8A.M. to 4:30P.M.. Closed Saturday, Sunday, and Holidays. Although signs at the gate state "No firearms allowed on base", they can be temporarily deposited in the base armory as long as the firearm is in a locked case or box. We stayed here from 04-08 Feb 2019. All sites are back in. The site we stayed in was gravel. There is both gravel and concrete sites split about 50/50. The restroom and laundry building was undergoing renovations. As this is low season it was the best time to be done. Completion date is expected 30 April 2019. None of the sites have sewer. There is a sewer dump next to the restroom/laundry building. It has been unusually cold in the area while we were there. We had freezing rain and sleet several days of our stay. All of the the hydrants are anti freeze hydrants. With that being said they must be operated in the bypass position for at least 30 seconds to clear the line prior to being shut off. The past camp residents leaving when temperatures were above freezing did not clear the lines. The result was that some of the hydrants were frozen. This was NOT the fault of the facility or its staff. 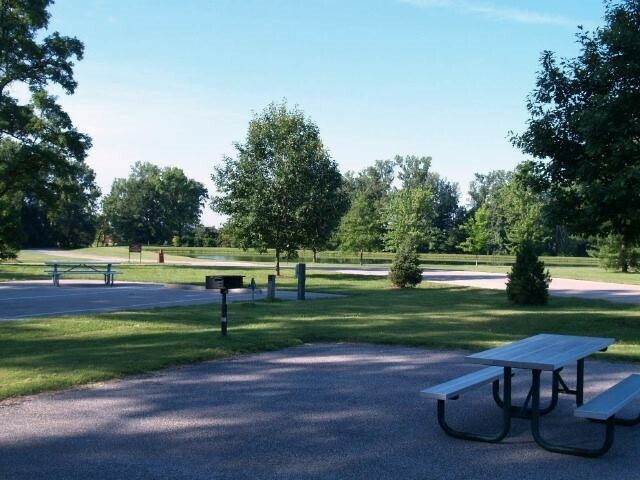 I believe all of the sites have a grill and picnic table. Commissary, Exchange, Library, Gym excreta are all about 3 miles. 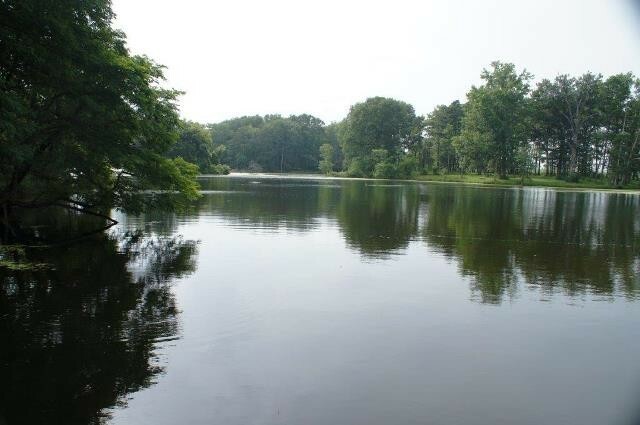 There is two small lakes that you can walk around. The area is quiet. I do not even remember hearing the aircraft during takeoff/landing. We had an excellent stay here at Scott AFB. 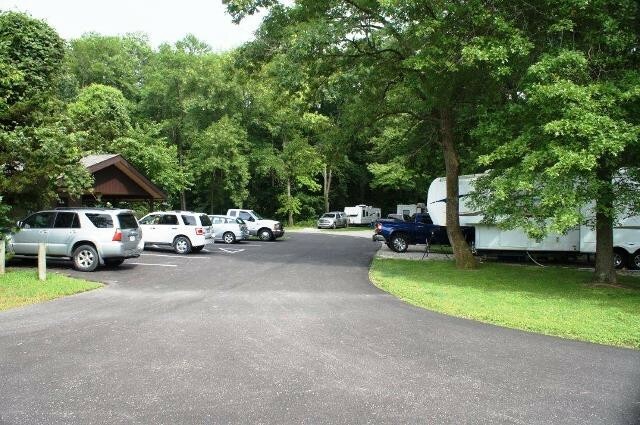 Yes we will be using this campground again when we return to the St. Louis area. For $20 it is what you pay for. Not the nicest, bathrooms dirty with metal toilets. Site 18 was big, level, and paved. Other sites are smaller. The spots in the trees are not paved, the spots near the lake are paved. Don't understand bad reviews was nice location real quiet and for $20 a night it was great will go back. We travel a great deal (7-9 month each year) and try to stay on military installations most of the time. So we have seen more than 40 FamCamps. This one maybe one of the worst. 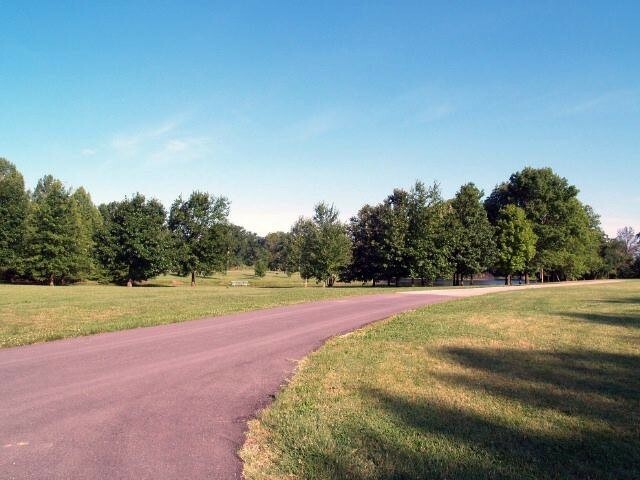 This FamCamp is easy enough to get to off I-64 and even on Scott AFB. From there, things were below average. As others have noted, sites are graveled (often short) and shower/restroom are just short of nasty. Full hooks are for Water and Electric ONLY - no sewer. As noted the water pressure was a bit lacking. PS: Fixtures in restroom/showers are stainless steel - never seen it before. 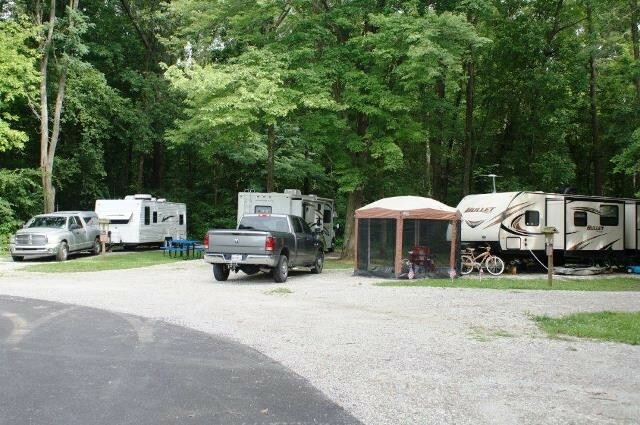 I would not call this Famcamp Big Rig friendly as most if not all sites are short and narrow. There are no camp host and all actions are controlled at outdoor rec. Doubt we'll return. Gravel sites, bath/showers leave something to be desired. No hot water, no water pressure and showers are not the cleanest. Location is nice, with shade. I know we just arrived yesterday, but my first impression of this location isn't outstanding. We've been here two days now and haven't seen a camp host or anyone from MWR yet. 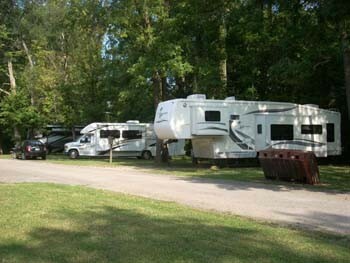 I drive a 41' fifth wheel, so the campground is difficult to maneuver through. The roads are tiny and there were several branches hanging too low both within and getting to the campground. We were looking for site 12, but MWR decided to change my spot from 12 to 9, which is no problem, but nobody ever informed me of the switch. 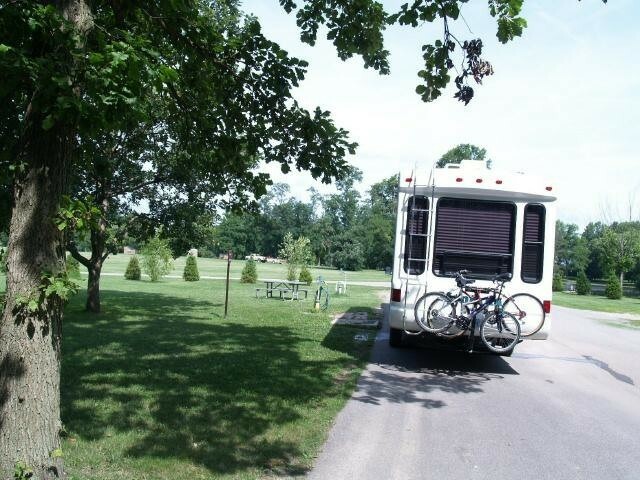 After pulling into the campground, we found our site and backed in, as all sites are back in sites. At least half are crushed rock and weeds while the other half in the first loop are paved. I connected the water and flushed the hose. First indicator something was up...it took almost a full minute for water to reach the other end of the hose. Water pressure is horrible on site. Our 50Amp outlet worked very well during our multi-meter check. No sewer connection, so we're conserving water. Got completely set up and we decided to check out the shower house. 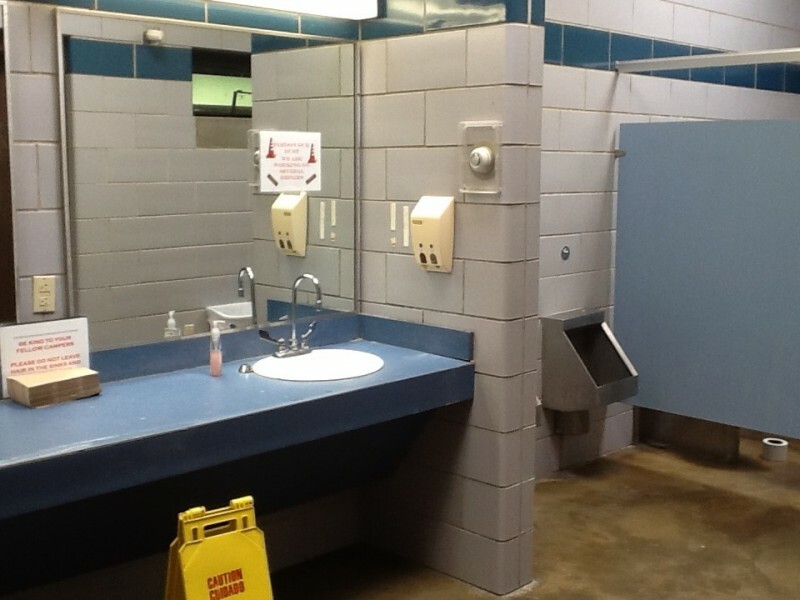 Toilets and urinals were procured from the Federal prison stock. They are stainless steel! Guess they didn't want anyone getting too comfortable on a porcelain stool with an actual toilet seat. Very odd. They have signs up asking for patience as they do repairs. Showers in the men's looked typical, but dirty. Women's side had an enormous hole in between the two available shower stalls. Assumption is the sexist opinion is women need to talk more than men, so they shortened the wall so women can chat when showering in adjoining stalls. Maybe this is one of the maintenance actions. Laundry room is decent with two each washers and dryers. Both washer and dryer are $1.00 to get started, and you can add $.25 for additional time on the dryers to reduce cost. We washed bed sheets already and the washer didn't do a great job. 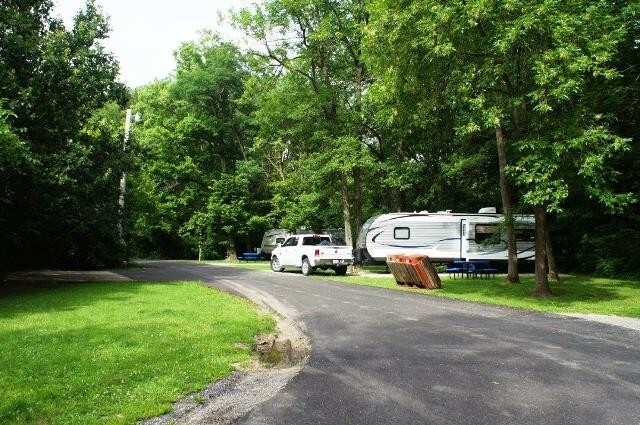 This campground could be a real gem because of the remote setting if they spent some time and money to add sewer, improve water pressure, add rock or upgrade to all asphalt sites, and upgrade the shower house and laundry facility. I just don't feel the amenities were worth the $130/week we paid compared to other military FAMCAMPs with FHU and nicer facilities. The sites are TINY. If they say a sight will fit your RV/trailer, that's all it fits. Getting into the site is another story, maneuvering around ditches and trees and one way streets is a "hoot." Access to the campground is a slow pace across the entire AFB to get to Fam Camp. There is plenty of space except for the actual sites which are packed in on top of one another. The bathrooms were dirty and a big hole in the concrete wall allowed you to see into the next shower stall. The base commissary and exchange are very nice. The location of going into St Louis is ideal. The campground is unmanned so if you need any help, forget it. When we arrived our parking pass was stuck on our campsite post. Base swimming pool is really nice, open 1-6pm daily. Nice enough famcamp. We stayed in a 40' 5th wheel in site #22. Site was back in with water/50 amp electric. No problems backing in and nice shade trees on back of site. 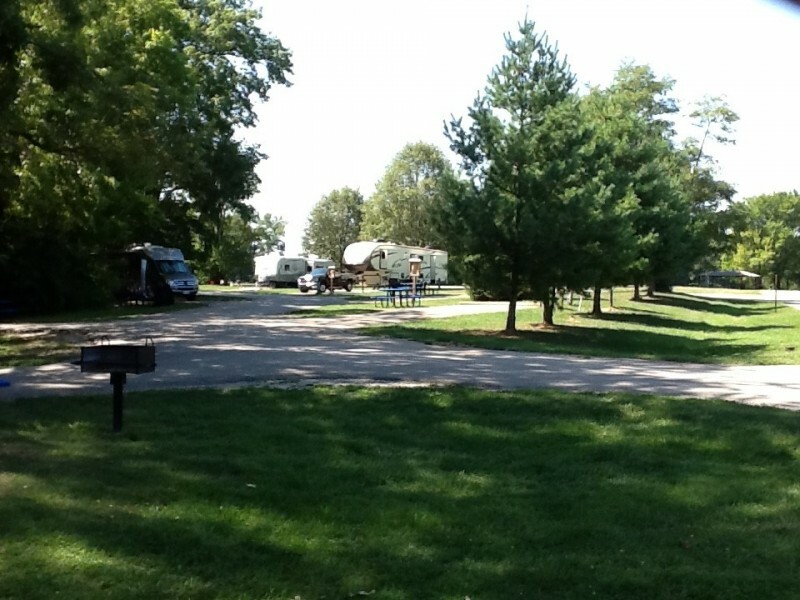 RV dump over in other part of famcamp in the trees. Has bath house and laundry. Nice stop for a few days. Nice base with big bx/commissary. Good enough location, lots of trees and shade. Mostly all are back-in, many from very tight angles and on the blind side. The base is good, friendly with a big BX and really great commissary. While it is a pretty good place and very reasonable, I will likely not stop there again. What this place needs is a camp host. Good: water pressure, quiet, level paved sites (for the most part). Bad: No maintenance, recycle bins running over (and have been for some time), bath house was terrible, dead bugs, cob webs and overall lack of oversight. The laundry room was really bad as well. Men's had only one shower, which provided hot water, but no privacy. Arrived on a Tuesday for 4 nights (that's all we could get, although we wanted 6). 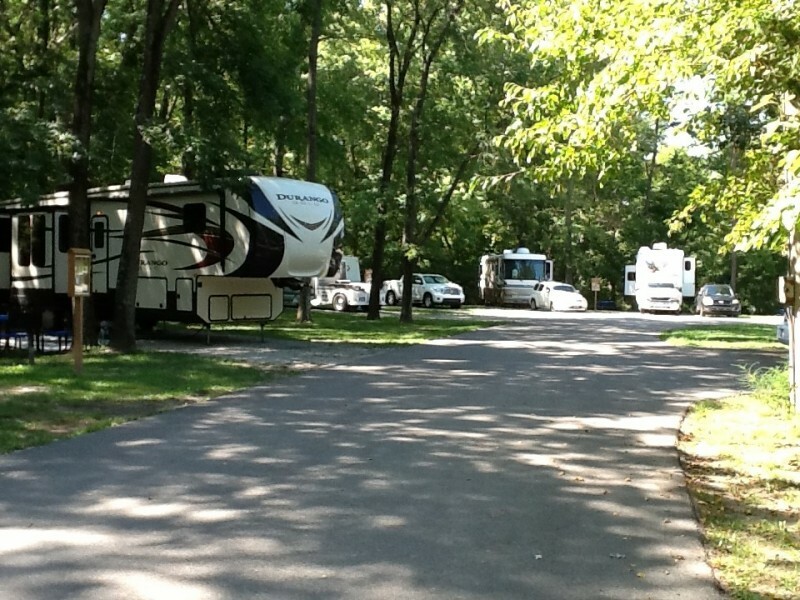 Boy Scout jamboree event going on over the weekend and the rv sites were fully booked. Anyway, assigned to spot 12, which is a great site. And it rained. And rained. And....more rain. And more forecasted through the weekend. We were headed west, through OKC and Amarillo, etc. We saw on the news where they were evacuating rv parks south of here, due to flooding. By chance, we called outdoor rec when they opened to see if maybe they had any cancellations (due to the rain!) and maybe a site opened up so we could stay and wait out the rain. For the next hour, Jen, bent over backwards to accommodate everyone. Another party didn't want to leave for the same reason. Overflow was occupied. Oh, and it's still raining, with some hail thrown in for good measure. I do t know how she did it, maybe some cancellations were called in, but we ended up moving one spot over, to 11, and everyone was accommodated. Can't say enough good about the staff at outdoor rec, namely Jen. We've stayed here many times, and this was by far the best experience. The scouts were quiet and well behaved (half of them were gone by Saturday evening) (It's still raining). Will definitely be back. Staying 6 nights in a 37' 5th wheel. We were here for one nite. The base is close to I-64. Takes longer to drive to the park once inside the gate. When you get to the gate, use the far right lane for entering. After entering, here are the directions from Outdoor Rec: turn left onto Seibert Rd, move to the right hand lane, gate is straight ahead, after entering gate , take left at first traffic light onto Golf Course Rd, stay straight ahead passing Golf Course, a 4-way stop, about 1/4 mile, watch for the small Fam Camp sign on the left side. No sewer, just water & electric. Hookups for some sites are on the far side of the site. Sites are among trees. It didn't appear that the sites are checked or cleaned between visitors. The base seemed to be slow to keep up other areas near the RV park. Lots of high grass. Great commissary and base exchange. AT&T worked at the rv park. We'll stay here again as it's a good locale for us to stop between family visits. We stay here several times a year, usually for one night as it is a good way station from home base (Memphis). 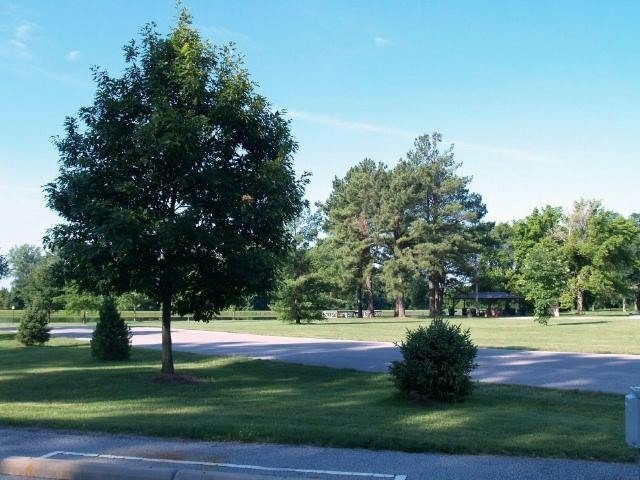 The campground is on the far side of the golf course from the rest of the base in a recreation park. Reservations are advised because it is sometimes booked up. 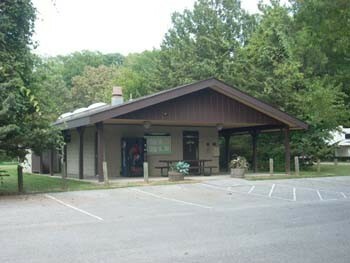 The recreation office is on the opposite side of the base. 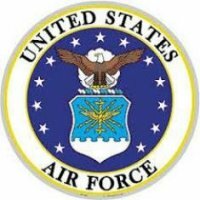 The Air Force FAMCAMP membership packets were available there. The restrooms are sanitary but insects tend to creep in because of the lighting. Most of the spots are back-in and of the paved ones, tend to be smaller. We are in a 22 ft Toyota Winnie so the main gate is not a problem. For bargain hunters, the Scott AFB thrift store opens at 10 -12 Tue, Thurs, Fri and 1st & 3rd Saturdays. Each visit has been pleasant. IL gas prices are higher than surrounding states - fuel up in Kentucky, Wisconsin, Missouri, Iowa or Indiana before entering IL. We did one overnight and checked things out. 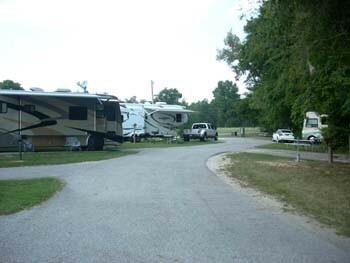 Overall, the campground is very nice and quiet. There were no obvious HS that we could see. No WiFi and you could only get satellite in half of the campground. The campground was mostly full. Grass was cut, but the showers/laundry were very dirty and looked neglected. Cell phone and Television reception were good. The picnic table was good, but there was no fire ring. We also had to go off post/base to get diesel fuel. Overall a good experience for an overnight stay. We will come back. We stayed in the rustic tent camping area which is near the lake. It was super quiet and peaceful as we were the only tent campers in the area. 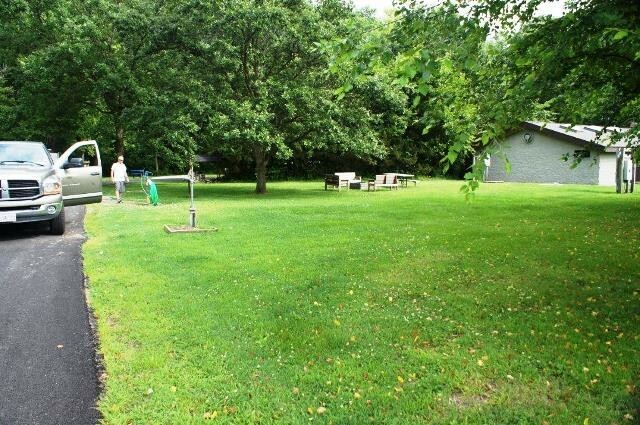 The grass was long in most of the areas and was only partially mowed near the bathhouse so the areas the kids had to play in was smaller than it could have been. The bathhouse was clean and close to our tent. The BX and Commissary were great so that was an added bonus. The camp area can be hard to find for those who aren't familiar with this particular base. We had to follow someone to show us where it was. Overall it was a pleasant stay and would most likely return. We were assigned site 24, a spacious back-in with good 50 amp electrical and water. Very easy to get a DTV satellite signal and two bars of Verizon LTE. We too followed the directions to approach the Shiloh gate in the right most lane but had to cross over into lane 2 as the gate guard didn't indicate he was going to open the other one. Very tight getting our 40-ft motor coach through. Did not us the bath facilities but the laundry room needed cleaning before we used it. Dog hair everywhere. We rode the train (station accessed from Scott) to St. Louis to do the Arch tour. $5 each for round-trip, a great value. Very nice BX and Commissary. We will be back. Great improvement to the road into the campground area since we were here last year. 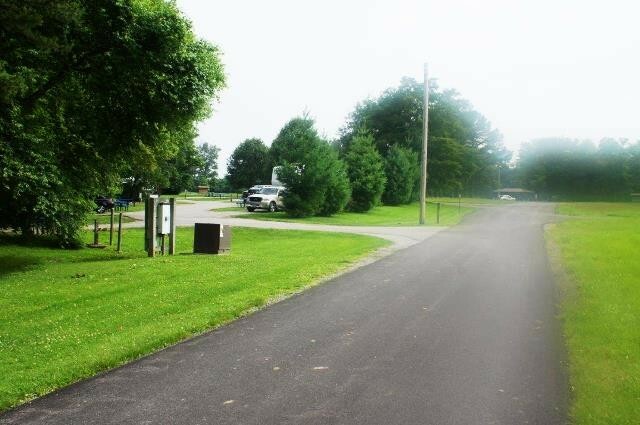 Recently new blacktop on all of the roads in and around the camping area. The outbound gate area is under construction, at the Shiloh gate, but the inbound gate is the same as it has been for years. Oversized rigs are told on signs to stay right and a guard will come out and make life a little easier. 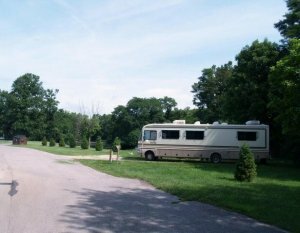 As always a very nice campground just off of I-64 east of St. Louis. Heads up! There is some serious construction at the main gate area going on from now (mid-June) until at least into August. You can still enter the main gate, but it's through two winding, narrow lanes lined with orange cones and some armco barriers. We tow a 37-ft fifth wheel and I barely made it through. I had to (slowly) hop a couple of curbs and unfortunately murdered a few cones. I would recommend you enter through the Belleville Gate (called the Mascoutah Gate in the directions info above), which is open from 0430 to 2330 daily for inbound traffic, and 24/7 for outbound traffic. Instead of turning left off Hwy 158 at the main gate road, continue to Hwy 161 and turn left, then another left onto Scott Drive, which goes right to the Belleville Gate. Once you're on base you then turn right at the first light (across from the Commissary) and follow the directions posted above. If you enter the main gate be advised it will be a slow process if you have a big rig. If you call to make a reservation I recommend you ask for the latest information on this if they don't bring it up. Other than all that, this is a nice park that's well maintained. 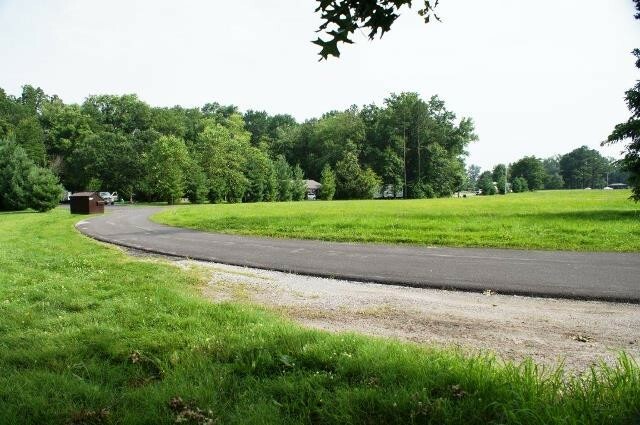 Half the park is rustic and the other half is open with asphalt pads. The bath house and laundry is in the rustic area, and is very nice. All in all a good, economical place to stay in the St. Louis area. R.L. left this review using the Directory software: - It's not the greatest camp but we were sure glad they stay open year round as it's not easy to find a place this far north in Feb. Our gps took us to a side gate that of course was closed (knew better, we've stayed here before but did it anyway....) The readings at Shiloh Gate are 38.54836 -89.86982.